﻿ When communism fell in Romania in the December of 1989, tens of thousands of children were left abandoned in Romanian orphanages. Dictator Nicolae Ceausescu had made it a goal to greatly increase the Romanian population with hopes that a larger work force would create a more powerful economy. In an attempt to achieve this goal Ceausescu implemented policies requiring families to have at least 5 children. Due to extreme poverty many families were unable to care for these children and were forced to place them in state institutions. As the world became aware of this problem, people flocked to Romania to adopt these abandoned children. Among those coming to Romania for adoptions were Fred and Carolyn White. After adopting their fifth child Natalie, they teamed up with Petru Solca to found New Opportunities for Romanian Orphaned Children or NOROC. Getting its name from the Romanian word for “God bless,” NOROC was originally designed to aid American couples seeking to adopt children from Romania. Its founding members never dreamed that it would grow to be the organization it is today. The first outreach program NOROC established was Big Hearted Grannies. The worker to infant ratio in baby hospitals was often forty to one. Many infants did not get the sensory stipulation or socialization they needed as a result. Petru Solca placed an ad in the Tulcea newspaper hiring women to come to the baby hospital for four hours every day and interact with the children. Six women applied and all were hired. From here the granny program quickly expanded to the toddler hospital. The results were miraculous. NOROC quickly noticed a need for academic support among the children. Often children were failing the first grade multiple times. Too many girls were unable to pass the tests to go to high school and were turning to a life on the streets. NOROC stepped in and established Big Hearted Teachers. This program sent retired teachers into the institutions to tutor children. More children began to pass and to stay in school. NOROC continued to expand this program to provide kids with other academic resources such as school supplies and even the funding to send many children to college. Big Hearted Friends was created next. NOROC received its first fulltime missionary through the Presbyterian Church USA and began hosting enrichment programs. Classes teaching skills such a sewing, cooking and art began to be offered. Opportunities to leave the orphanages and visit places outside of Tulcea were created. NOROC was able to provide help that enhanced the happiness of the children. International adoptions closed in Romania at the end of the twentieth century, but NOROC continues to provide the same aid to institutionalized children. 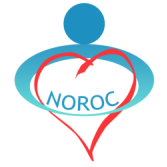 NOROC has been able to improve the lives of thousands of children of all ages over the past twenty years. Thanks to the hard work and devotion of hundreds of NOROC employees and partners lives have been changed.